This organ was built originally by William Hill in 1867 for a London church. In 1873 it was enlarged and removed here by William Hill & Son and thereafter variously altered both tonally and mechanically. 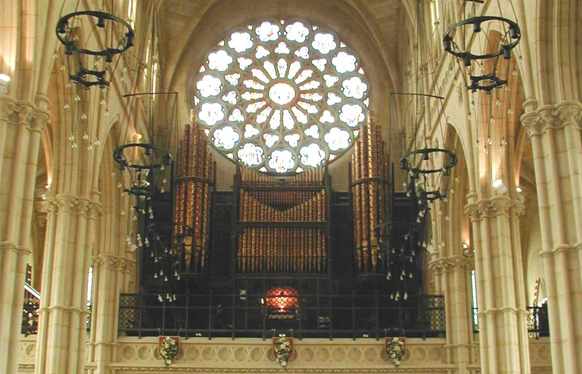 David Wells Organ Builders Ltd was commissioned to return the organ to a form nearer its original. This work included a new console and the re-instatement of the Horizontal Trumpet.